Sony has followed up on its promise of bringing HDR to every PlayStation 4 (PS4) console ever made with update 4.00. The update is codenamed Shingen and arrives tomorrow. Beta users have had access to the build for a while now. The main features of the update include HDR and folder support. Also included are a whole slew of new features that should enhance the experience. High-Dynamic Range or HDR adds a great deal of colour information to a game. Essentially, there will be a larger colour gamut to represent, which should do wonders for image quality. PS4 users should find the HDR option in the video output settings of their PS4. Obviously, you’ll need a display that’s compatible with HDR to take advantage of this feature. Another useful update involves the PS4’s Quick Menu, which now gives quick access to music and Spotify. You’ll be able to control music and spotify, browse playlists, etc. from within the menu. 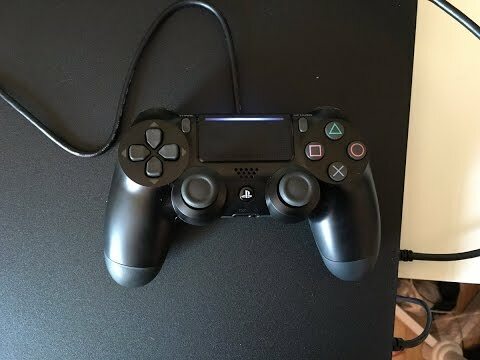 Perhaps the most crucial feature if you plan to upgrade your existing PS4 to the PS4 Slim or PS4 Pro is data transfer via LAN cable. “In order to make it easier to get all of your data from one PS4 to another, especially if you upgrade to PS4 Pro, we’ve added the ability to transfer data over a wired LAN connection. You can transfer games, user info, and saved data. Of course, you can re-download content and transfer saves through the cloud, but the LAN transfer should be much faster and easier,” Koller’s post reads. Finally, the PS4’s existing has also received a slew of changes. You can now organise games in folders, view trophies offline, and share video clips on Twitter upto 140 seconds. The UI has received some refinements including system backgrounds, redesigned icons, and updated notifications. It should be available from today. For those who’re looking to upgrade their PS4, Sony says that you can transfer data over a wired LAN. This will transfer downloaded games, player info, game saves, etc. It’s certainly a convenient option to have.